Advocate - Hope Community Resources, Inc. Whether you’re a self-advocate or advocate on behalf of another, make your voice heard! Hope is in the process of assisting with the organization of a self-advocate group comprised of people who experience disabilities. As someone who experiences a disability, Hope's Peer Advocate, Travis Noah, is all too familiar with the challenges of being heard, recognized and respected on a daily basis. He will share his experience as a self-advocate with those that are interested in learning about self-advocacy and organizing to have one voice on behalf of people who experience disabilities. If you have the desire to make a positive impact on your life and others who experience a disability please contact Travis Noah by clicking here for more information. Also, check out his Youtube channel Hope on Wheels! The Key Coalition of Alaska is a grassroots organization that advocates for disability services in Alaska. It is made up of concerned citizens, families and service providers. 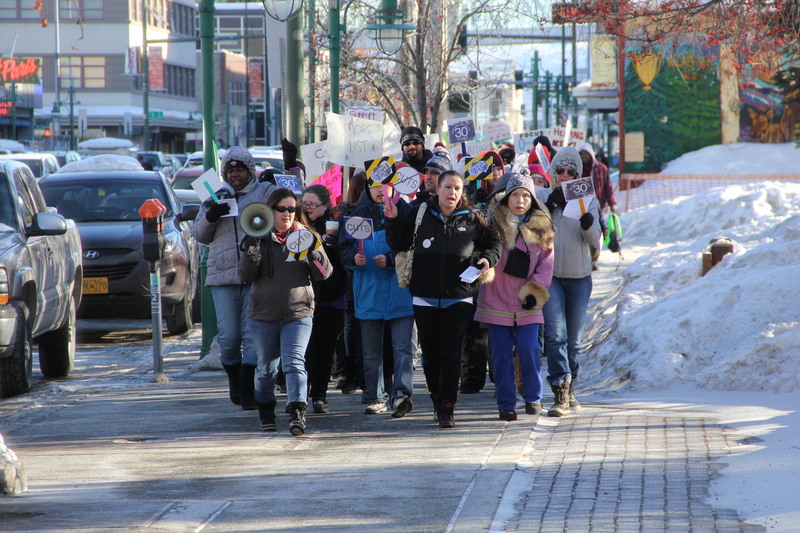 Each February the coalition hosts the Key Campaign where families descend on Alaska’s capitol to bring their priorities in front of the legislators and tell their stories to affect positive change.